Some of you may remember that last year, my husband and I visited London’s famous ‘Gherkin’ building to have dinner at Searcy’s restaurant on the top floor. The most memorial part of that night out, apart from the architecture, turned out to be the amuse bouche that we were served, and that wasn’t even on the menu! We were served a deconstructed ‘BLT’ – consisting of tomato jelly topped with a bacon onion foam, a sliver of crispy baked tomato and lettuce dressing. In fact, it was the memory of the tomato jelly that has stayed with me ever since. I’ve been waiting for the weather to warm up so that I could attempt to recreate the tomato jelly; in fact, I found a recipe on the Daily Telegraph website that I’ve been dying to try for months now. So here it is, a simple crab salad served on pea shoots in tomato jelly. I changed the Daily Telegraph’s recipe slightly as I wanted a sharper and warmer jelly, so I added an infusion of lemon and chilli to give it sharpness and heat. Pea shoots - I love their fragile flavour. I absolutely love this jelly, and I can see myself making this again, and again, and again. My only criticism of my dish today is that I didn’t actually put enough pea shoots into the jelly so the flavour of the pea shoots didn’t come through enough. 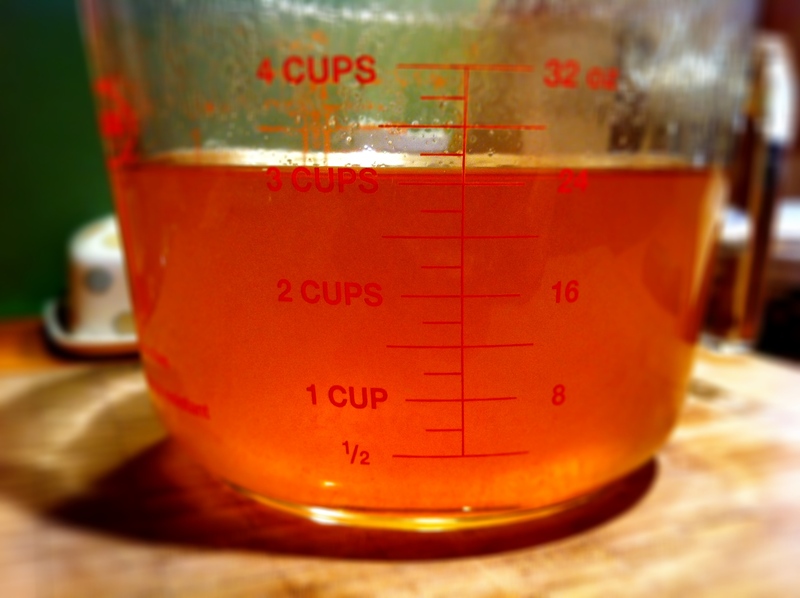 All those ingredients were blitzed and then strained to create this beautiful coral liquid. 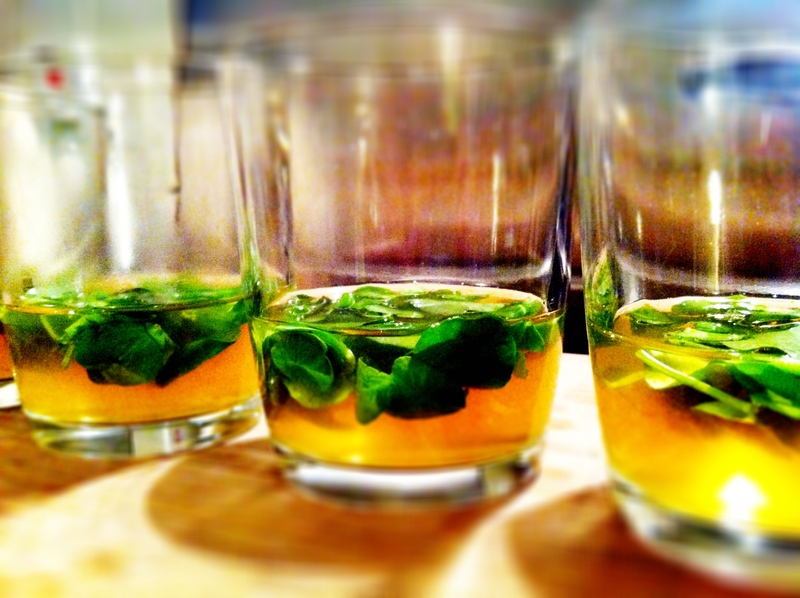 Pea shoots set in tomato jelly. I made 4 pots of jelly to go with the crab salad, which left plenty of plain tomato jelly left over. It’s so versatile because we have been using the tomato jelly on other dishes as well – it dissolves back to liquid when heated and we served this over some rice and slow-baked pulled pork we’d made during the week. 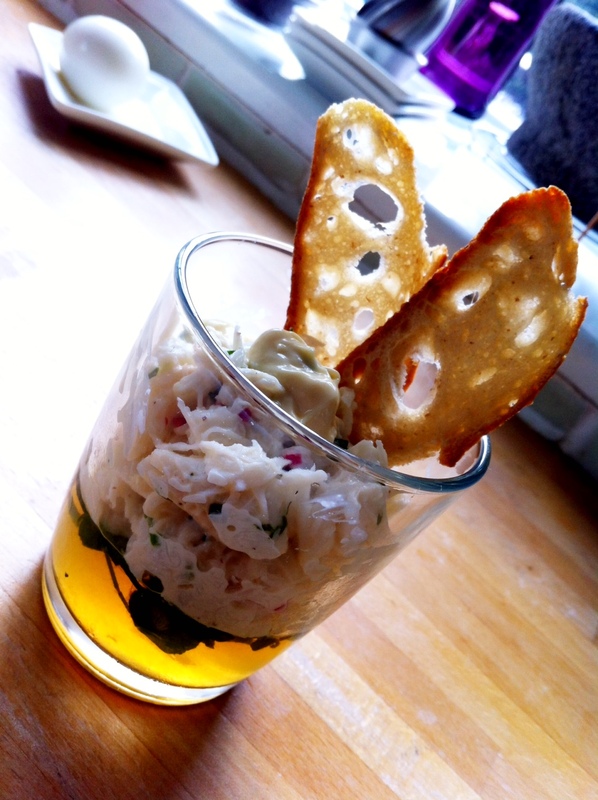 I made a simple crab salad using white crab meat, spring onions, a de-seeded chilli, lemon juice and some mayonnaise. 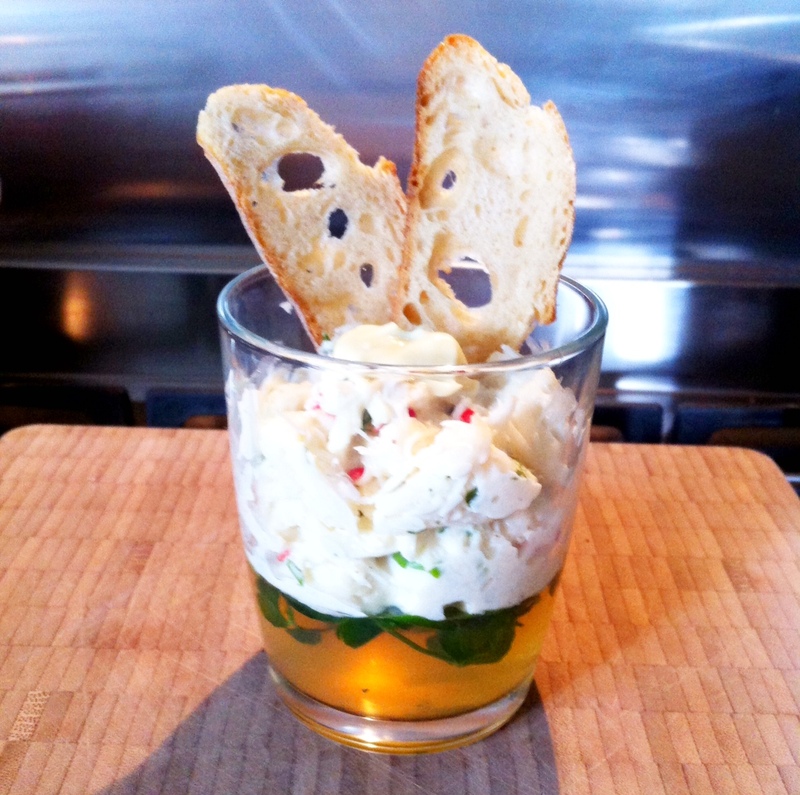 A simple crab salad served with my tomato jelly and some toasted pain levain. This recipe has really sparked my interest in savoury jellies now so don’t be surprised if you’ll see me tinkering with jelly mixtures this summer. 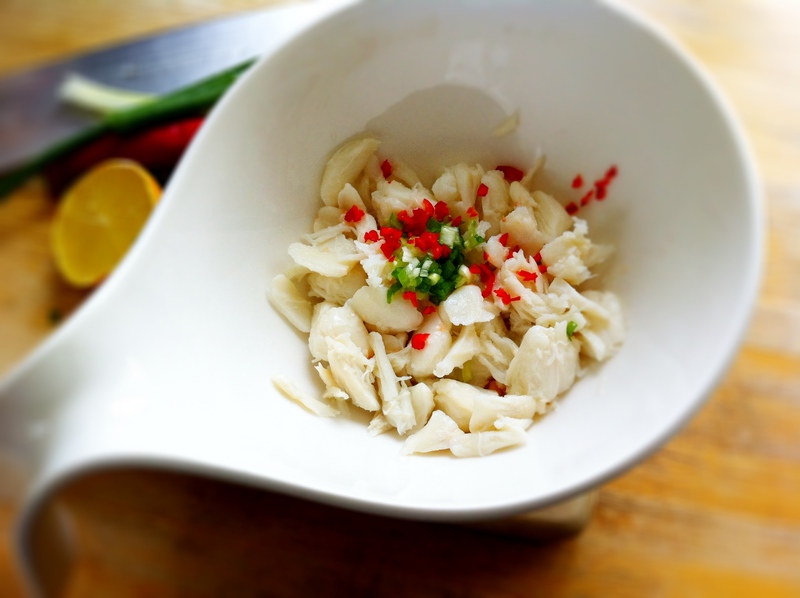 I haven’t provided the recipe for the crab salad as it was just some fresh white crab meat, mixed with some freshly chopped spring onions, a de-seeded red chilli, lemon juice and my favourite French mayonnaise. A savoury jelly made with tomatoes and pea shoots, served with a simple crab salad. Put all of your ingredients into a food processor and blitz it until as smooth as possible. If you don’t have a jam stainer or muslin cloth, put a clean tea towel over a bowl and pour your tomato mixture into your clothe. Strain your tomato mixture, which will leave you with at least 700-800 ml of pale pink liquid (I ended up with almost a litre of liquid). Taste your tomato liquid and if you don’t feel it’s concentrated enough (which I didn’t), I set my tomato liquid on a gentle simmer and reduced the tomato ‘stock’ down to about 650 ml. When you’re ready to make your jelly, place your gelatine leaves in cold water for a few minutes, then squeeze out the water before adding them to your tomato liquid. If you’re not planning to set anything in the tomato jelly, then add your gelatine leaves, mix well, and then pour your tomato jelly liquid into your desired mould and allow it to set overnight. I set some fresh pea shoots in the jelly, so to do that I allowed the jelly to cool completely before I reheated one ladle of tomato liquid in order to dissolve the gelatine leaves. 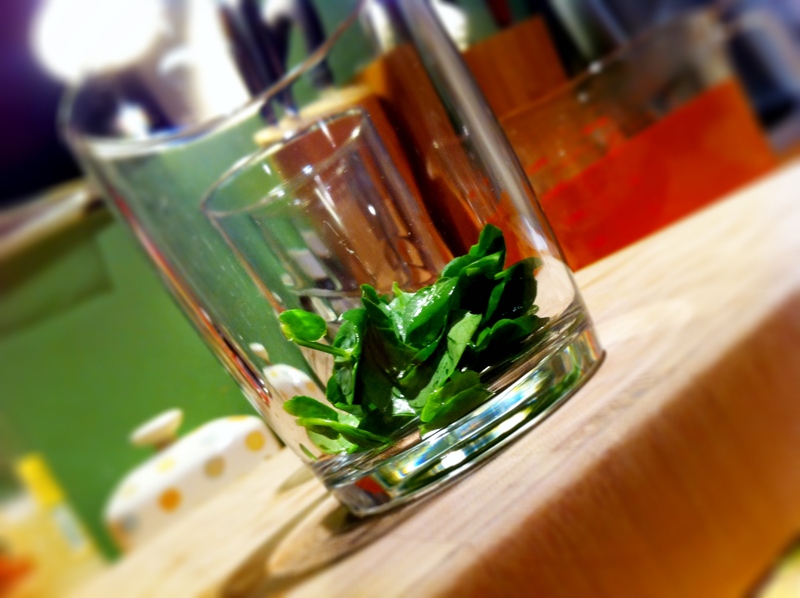 I then mixed the hot liquid back into the rest of the tomato liquid, before pouring it over pea shoots – the lukewarm liquid ensured my salad leaves didn’t lose any colour. 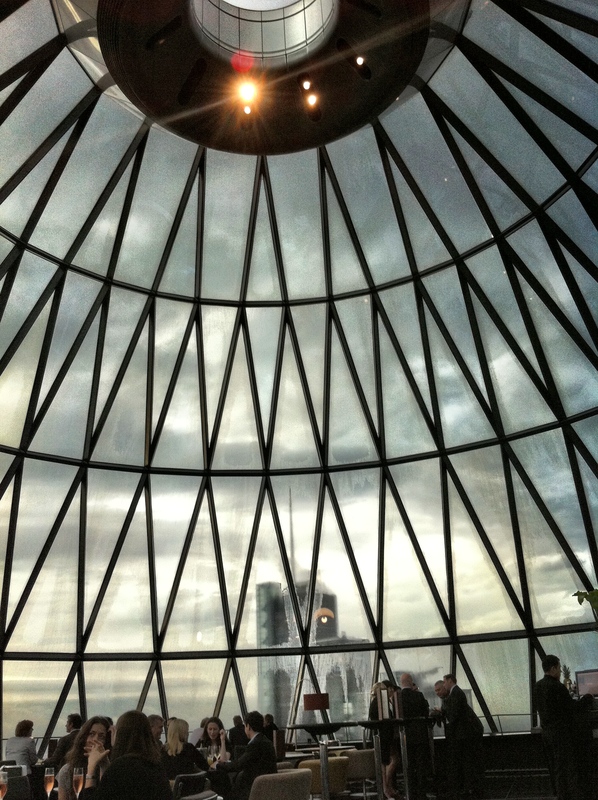 I had no idea you could eat food in the gherkin… awesome. What an interesting recipe, Noodle. I’m very impressed though – how classy. What a cool idea to combine the jelly with a salad! Is it a small size too? My mom used to make a tomato aspic years ago, probably in the 70s! Hi Eva, I made these as a starter rather than as an amuse bouche so those glasses you see are basically nutella glasses. There’s probably about a quarter cup of jelly in each. 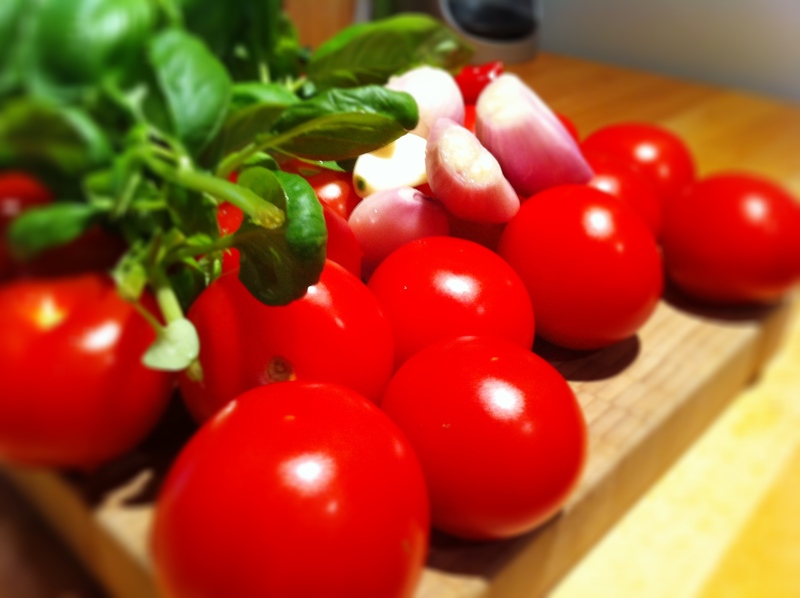 Good tip for concentrating the tomato liquid — many people forget to taste their food when they cook. Yes I do that sometimes too but we don’t get very flavourful tomatoes here, so it’s really important to taste them properly before setting them or else they’ll be fairly tasteless jellies. What a great idea! I love playing with texture like this and you gave us clear instructions to repeat your success. Thanks! I like the sound of all of this, savory jellies! Awesome! That looks amazing and fantastic – well done! It was really nice and something I definitely want to make more off as the weather heats up. Very imaginative combinations and flavours. 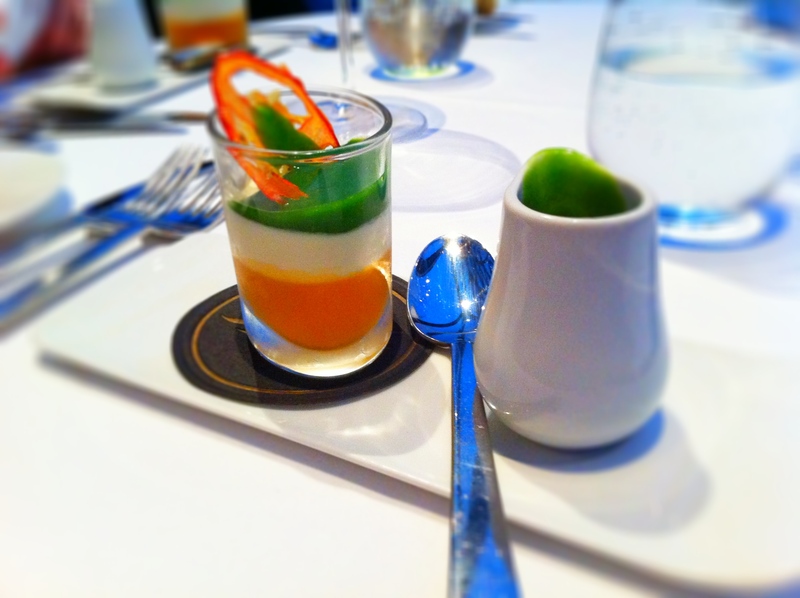 Now I want to try my hand at making savoury jellies! What a delicious and creative idea. I’ll definitely be trying my hand at it! This sounds absolutely heavenly from beginning to end!